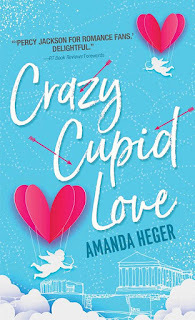 Author Bio: Amanda Heger is a writer, attorney, and bookworm. She lives in the Baltimore with her unruly rescue dogs and a husband who encourages her delusions of grandeur. She strongly believes Amy Poehler is her soul mate, and one of her life goals is to adopt a pig and name it Ron Swineson.